March 30th 2013, 11am CST (preview 2 hours before): Antique dealer and estate sale company are closing their location in Houston. 4,000 square feet warehouse full of antique furniture, Crystal, Porcelain, Hand Made Persian Rugs in Various Size, Paintings, Elegant bric a brac and Much More. MOST item with NO RESERVE. EVERYTHING will be SOLD!!!! Trusted by individuals, families, estate planning and probate attorneys and trustees, our team of certified appraisers and licensed auctioneers provides full professional services for Estate Auctions and Private Sales. We schedule estate auctions four to six times a year. Each auction is comprised of fine art and antiques from a combination of estates and private collections. We produce Estate Auctions in Houston, as well as throughout the state of Texas. We are specialized in Art auctions and Antique auctions. Estate Auctions provide a great opportunity for anyone to purchase high quality items at a fraction o f their retail prices. We believe in investing more in marketing and advertising both at national level and international level than in buildings and show room: we are truly addressing the global market with our communication in five major languages. Our "Signature" Estate Auctions offer the best chance for our clients to get the best for their belongings. 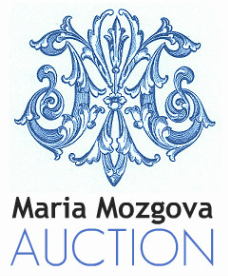 One visit to one of our estate auctions and you will see exactly why so many families turn to Maria Mozgova Auction for their estate liquidation needs. The quality of our services and experience of our staff have helped us to become one of the most popular estate auctions services.